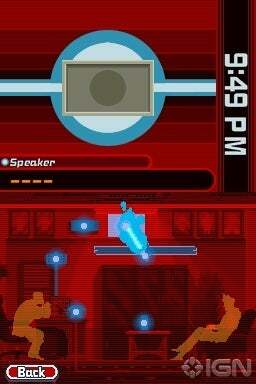 I came across this game when I'm a bit bored of the games I had in my NDS. I never expect for the download to complete despite of my lousy connection... but hey, since I managed to download it, of course I'll try it out ! 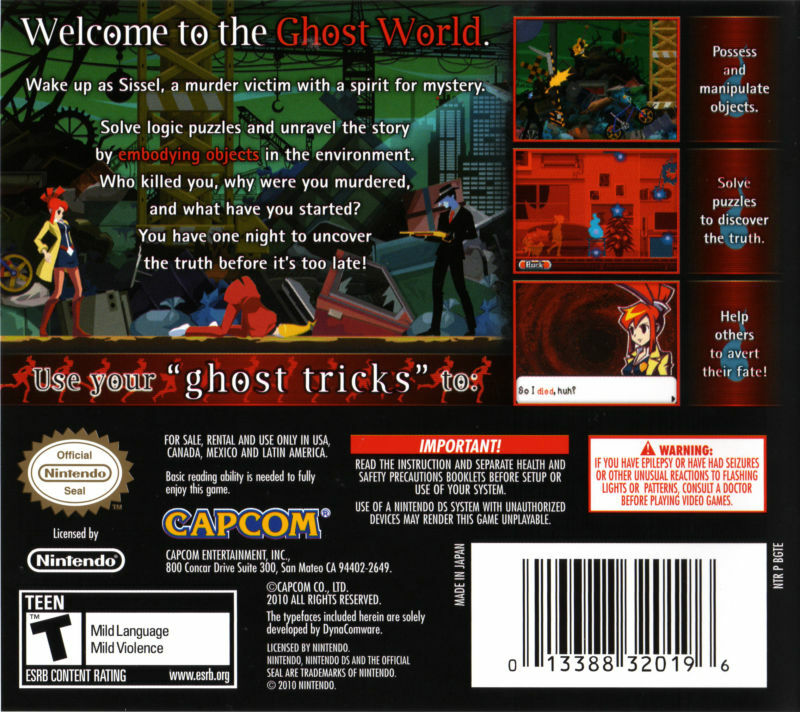 Yes, the story of Ghost Trick: Phantom Detective by Capcom starts with a death, YOUR death to be precise. You found yourself dead and a redheaded girl shot dead by an assassin. Weirdest thing happened when a red desk lamp named Ray started to talk to you about how special you are as a spirit with powers. The red desk lamp guided you to use your power of the dead to possess and manipulate inanimate objects, travel through telephone lines and advert the fate of the dead by rewinding to 4 minutes before that person's death. An important note that the red desk lamp said is: you have one night before dawn to discover the truth behind your death and recover your lost memories about yourself. 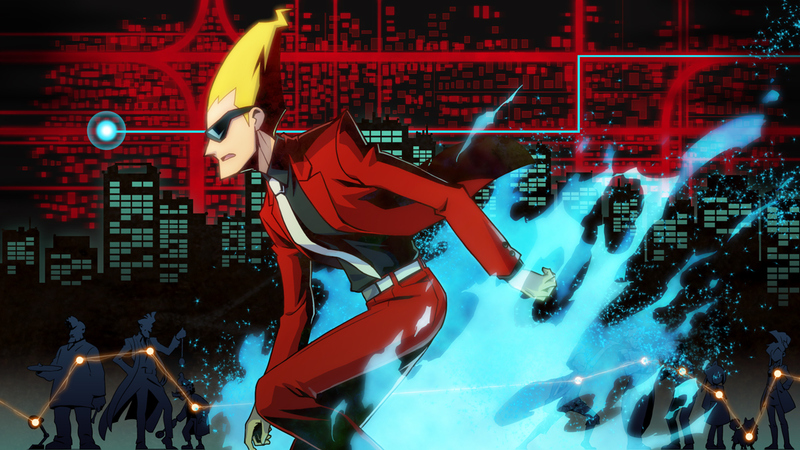 In the progress of the game, you realized your name is Sissel, a yellow-banana-headed guy with cool shades and red coat. 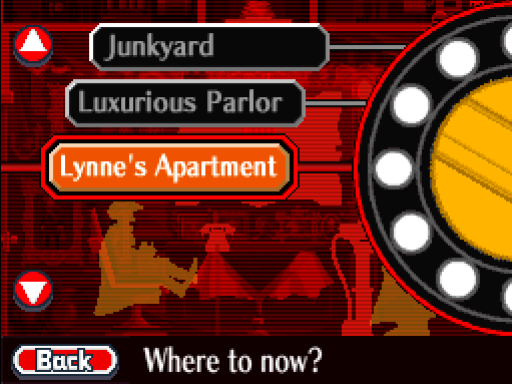 You partnered with the redheaded girl (who turns out to be a rookie detective looking on to a closed case dated back to 5 years ago) Lynne to solve both the case and your own mystery. If you think that this game is all about solving crimes and saving the dead by rewinding 4 minutes before their death, then you're terribly wrong. 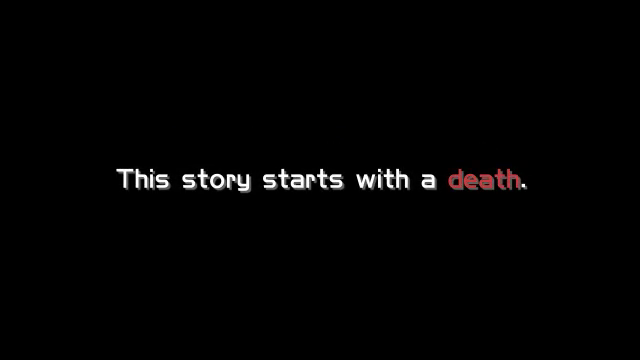 The whole game is about discovering the truth of the closed case 5 years ago, the mistake that takes place 10 years ago and the mystery identity of the main character itself. Detective games are not my specialty, but the plot twist for this game was developed very carefully so that you're going to discover mysteries by solving another mystery. The ending of the game is really unexpected, but I could say that it is a happy ending. The gameplay is awesome. Sometimes the game might makes you scratch your head hard just to move from a location to another location because of the distance limit you can travel. And by making use of all the objects that could be animated and the sequence you animate them, you can create a new path to travel or even change the fate of the dead. Although the game environments are 2D, but the characters are moving in quite a 3D fashion. To tell the truth, the game has a smooth animation, which I liked it a lot. Just take a look at this picture to see it for yourself. The game has been released for the iOS few days ago, check the iOS trailer for the game below ! If you allow me to choose, I would like this trailer more as it contains a lot of memorable quotes by the characters. I rate this game 8 our of 10, since it still can improve by adding 3D animated cutscenes in the game. I dont think there'll be a Ghost Trick 2, but if that really comes out, I hope to see a few crossovers between the characters.